After my departure on the 29th January the newsletter will be reserved only for the people who made a donation. It will include one or two articles summarising the unfolding of my trip as well as some pictures that won't be published on the website. Today I've decided to put on line my first newsletter to give you a preview. You can upload it by simply clicking on the link below. All your commentaries and suggestions will be useful so I could improve the following publications. 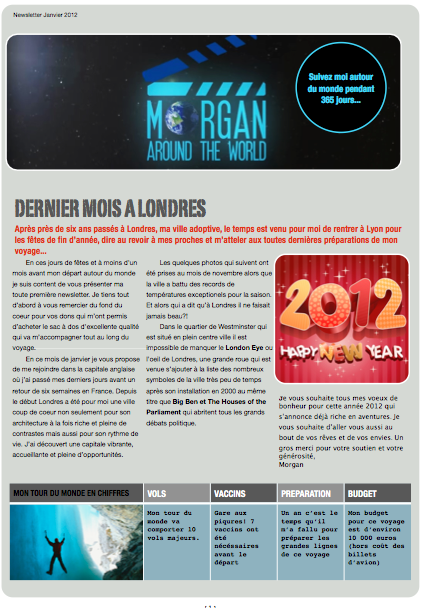 Note that for now the newsletter is written in French only.